A Callable Certificate of Deposit is an FDICFederal Deposit Insurance Corporation (FDIC)The Federal Deposit Insurance Corporation (FDIC) is a government institution that provides deposit insurance against bank failure. The body was created during the Great Depression when the public had lost trust in the banking system.-insured time deposit with a bank or other financial institutions. Callable CDs can be redeemed by the issuer before its actual maturity date, within a specified time frame and call price. Like other regular CDs, a callable CD pays a fixed interest rateInterest RateAn interest rate refers to the amount charged by a lender to a borrower for any form of debt given, generally expressed as a percentage of the principal. The asset borrowed can be in the form of cash, large assets such as vehicle or building, or just consumer goods. over its lifetime, and the interest rate is often higher than the regular CDs. However, the issuers of callable CDs own a call optionCall OptionA call option, commonly referred to as a "call," is a form of a derivatives contract that gives the call option buyer the right, but not the obligation, to buy a stock or other financial instrument at a specific price - the strike price of the option - within a specified time frame. on the CD and can call or redeem the deposit from you for the full amount before the maturity date. The issuing bank adds a call feature to the time deposit so that it does not need to continue paying higher interest rates to its holders even after a fall in interest rates. But for the issuers to redeem the CDs, they must offer a premium price to the holder as an incentive for taking the risk. When the CD is called, the holder gets the principal amount back plus an accrued interest on their investment. CDs do not come with an initial non-callable period when they cannot be redeemed, and the bank can redeem it as early as six months after you purchase it and every six months thereafter. The callable date is the date on which the issuer can call your certificate of deposit. The callable date may be as early as six months and can sometimes go up to two years. For example, if the callable date is six months, it means that the issuing bank may decide whether to call back the CD in six months and return the amount invested plus interest. Then, every six months after the callable date, the bank will have the same option again. The term “maturity date” varies from the term “callable date.” The maturity date refers to the duration of time that the issuing bank can keep your money. In essence, the longer the maturity date is in the future, the higher the interest rate that its holders will earn. For example, an investor may buy a two-year callable certificate of deposit that has a maturity of 10 years. It means that an investor has two years before the issuer redeems the CD. However, the actual amount of time that you must commit your money in the investment is 10 years. The maturity date can go even higher to 15 years and 20 years depending on the issuer. 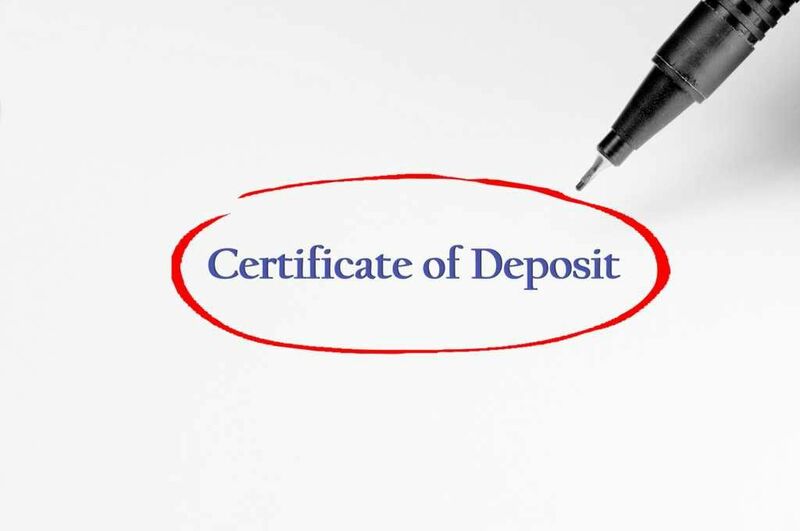 Unlike the regular certificate of deposits, a callable CD gives the issuing bank or financial institution more control over the investor’s money. Investors buy the callable CDs for a fixed duration of time in the future and earn a specified interest rate. However, the issuer owns the right to redeem the callable CDs before the stated maturity date. If the investors decide to redeem the CDs before the maturity date, they may do so, but the issuer will charge withdrawal penalties. The date of maturity and the callable date are usually specified in advance before the investors commit their money. For example, let’s consider a callable certificate of deposit issued by Company ABC in 2010, paying an interest rate of 8%, with a maturity date of 2020 and callable in 2015 at 105% of the face value. It means that Company ABC has the right to call the CD in 2015, usually if the interest rates fall below the stated 8%. For the issuers to call the CD, they must pay the holder/investor an amount that is a little higher than the face value, i.e., 105% of the face value. The difference between the amount paid and the face value is the call premium. If ABC postpones the call to 2018, it will pay a lower amount, like 103%, than it would have paid in 2015. This is because the amount decreases as the CD approaches the stated maturity date. The issuers of callable CDs offer a higher rate of return to investors to encourage them to invest their money in the instruments. The rate of return may be 0.5% or 1% higher than regular CDs. Although the difference may seem small, it results in higher margins for investors who invest millions of dollars. In the stock market, investors may lose their principal amount if the market goes against them. But with callable CDs, investors receive all the principal amount that they invested into the bank when the latter calls the CDs before the maturity date. They also earn a premium on the principal amount when the issuer redeems the CDs on the callable date. Investors who have purchased callable CDs continue to receive higher interest rate even when the market interest rates fall below the issuer’s initial interest rate. If the market interest rates are significantly lower, the issuer may call the CDs at the indicated callable date and pay the investors an amount that is a little higher than the face value of the CD. Although investors are paid interest on the amount invested, they stand to lose interest gains in the future since the CD goes for a fixed period. For example, if the issuer gives an interest rate of 7% and the market interest rates rise to 9%, the investors will not benefit from the increase. Rather, they will stick with the 7% until the maturity date. Sometimes, investors may need to withdraw their money before the maturity date to cater for emergencies or put their money in alternative investments. However, doing so attracts huge withdrawal penalties that may sometimes go up to 25%. Making early withdrawals results in a loss of a large amount of interest. Financial Institutions Group (FIG)Financial Institutions Group (FIG)Financial Institutions Group (FIG) is a group of professionals that provide advisory services to financial institutions. Some of the services that FIG offers include mergers and acquisitions, recapitalization, capital raising, financial restructuring, corporate valuations, expert financial opinions and other advisory services. Money MarketMoney MarketThe money market is an organized exchange market where participants can lend and borrow short-term, high-quality debt securities with average maturities of one year or less.